Hello friends today we have a new trick for you. It is very useful. This trick name is Save A Number During A Phone Call. You already have guess what we want to tell you. Yes, you are right. Through this trick you can save any number during a phone call very easily. Firstly let’s know about it. At the first you need to download an app on your android phone name Call Writer. You can download the app form your play store or if you want to get it simply then click here. It will through you on play store. Now you need to Open the app after installing. After that tap on three lined sign button. There you can see the Settings. In settings you can customize according to your wish. 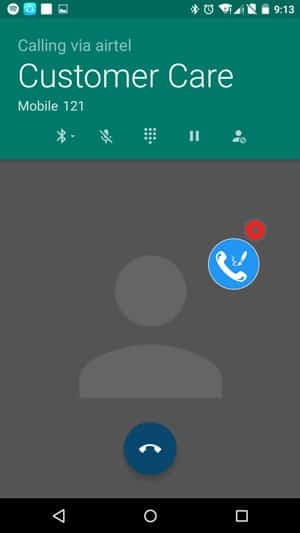 And now whenever you receive any call or make any you can see a blue dailer icon. Just you have to tap on it and save anything that you want to save. Now it’s very thing you should remain that the written note will get automatically saved when a call ends. You have to save it manually yourself. Now there will be no need for any paper and pen, just an app is enough to save your things on ongoing calls. After save you can check this. So, friends isn’t it a good way to save any information instantly ? Of course it is. You no need any paper or pen. Hope you like it.